It can be startling and concerning when a rug bleeds, especially an old antique rug. As these rugs can be heirlooms and expensive, dye bleed can feel like a disaster. There are a variety of reasons why a rug might bleed. Join us as we discuss the 6 reasons for rug dye bleed. Fugitive dyes occur due to improper exposure due to water from a flood or a poor cleaning attempt. Further, fugitive dyes can also occur due to over-dying. This is a technique used by rug dealers to make a rug look brighter or older or more antiqued. If a rug has never been cleaned before there might be excess dye in the fibres. As a result, this may wash out during the first cleaning, similar to a colourful shirt or skirt in the laundry. Further, if an additional colour has been added to a rug to make it look brighter or to make it look older (called tea washing to make a rug look antiqued) this additional dye can bleed during cleaning. Having your rug cleaned in your home is the amount of residue left behind in the fibres after the “cleaning”. Chemical residue builds up and, over time, can affect the acid dyes in the rug. This is especially true of wool rugs. As a result, this can cause the dye to bleed out of your rug. While it might clean well one or two times in the home, on the third clean the dyes can bleed due to the residue not being appropriately removed. This is why you should never have a rug cleaned at home. Always take your rug to a professional cleaner where it can be appropriately cleaned and dried. Further, pet urine is a serious issue when it comes to rug bleeding. Pet urine causes acidic stains which turn alkaline over time. If it isn’t professionally cleaned as soon as possible, pet urine will cause long term, permanent dye damage to your rug. As a result, a rug may have colourfast dyes but all areas that have been exposed to urine will bleed, no matter what steps are taken to stop that. 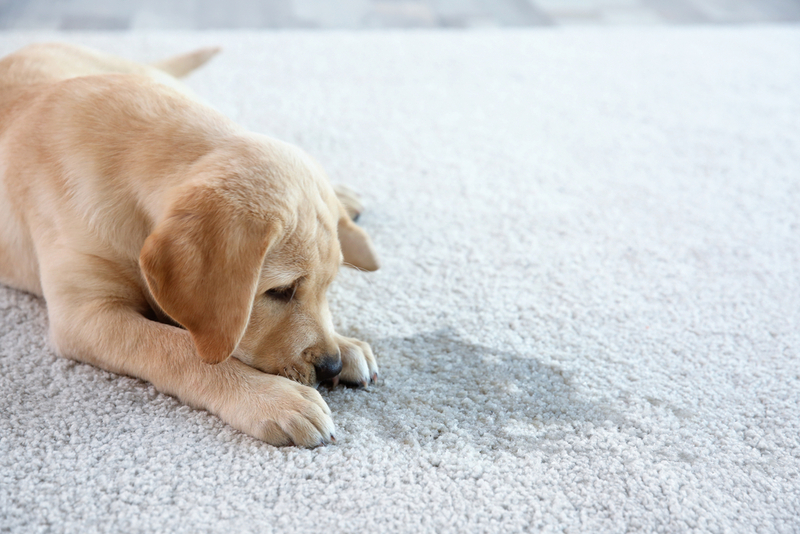 This is why pet urine is the most dangerous “spill” you can have on your rug. And why you need to have it cleaned as soon as you discover the stain. The more time you take to inspect your rug, the more problems you avoid. 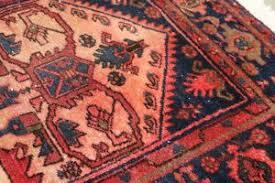 If the dyes in your rug have not been made properly colourfast, then thy can bleed when exposed to water. This is often seen in cheap rugs or rugs that have been dyed by manufacturers or rug dealers to make them look brighter or antiqued. Finally, water-soluble dyes also bleed and will drain on interaction with any fluid. As a result, it is the hardest dye bleed to fix. It is important when buying a rug to ensure that water soluble dyes have not been used. If you do purchase a rug with water soluble dyes, then you need to be prepared for the fact that your rug may be difficult or impossible to clean or may require colourfasting. However, colour fasting may still not fully stabilise the dyes in your rug. Further, any spills on your rug may cause it to bleed. As such, it is best to avoid any rug with water soluble dyes. 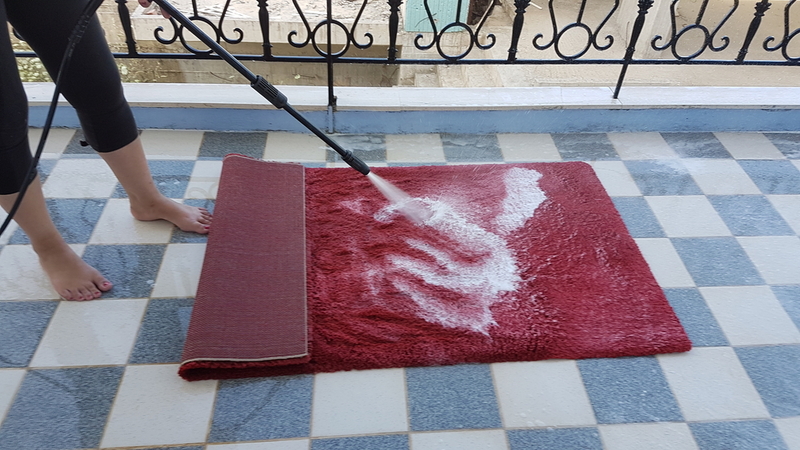 It is also important to consider that saving a few dollars by attempting to clean your rug yourself may actually cause thousands of dollars of damage to your rug. Further, it could lead you needing to buy a whole new dress. Professional rug cleaning is important to keep your rug in good condition and to prevent the build up of dirt and allergens. It is also important to prevent further damage to your rug. So contact Woods Rug Laundry today to get your rug safely and professionally cleaned.